Would you believe how much dirt and mold your curtains can accumulate over the years? That is why you must make a habit of cleaning them. However, not everybody has time to keep cleaning. Especially when you have work and children and family matters. Rug Cleaning can help you. 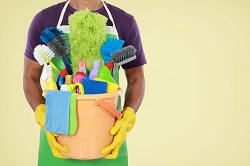 We are a professional cleaning company and we’ve been running for many years now. If you need a professional curtain cleaning service in London, you should come to us. We will clean your curtains for you from top to bottom and have them looking immaculate. So get in touch and let us clean for you. The thing is, with your curtains, because they sit against windows and windows get damp, it makes your curtains damp too. Over time, this can cause a number of negative problems. When your curtains get moldy, it is very bad for you to breathe in. So it is so important that you keep your curtains clean before it is too late. You may end up having to throw them away if the matter gets too out of hand. Call us today on 020 3744 3066 if you would like our professional help with cleaning your curtains for you professionally. We’ll get rid of any stains, bad smells and mold harboring behind your curtains. They will look great again and as long as you keep it up, your curtains will last a long time and stay looking great. Need affordable curtain cleaning London? Our professional curtain cleaners in London can do it for you. With their experience, know-how and expertise, they will transform your curtains until they look immaculate. Our team is efficient, flexible and motivated. You can be sure that they will make a great job of cleaning your curtains for you. In next to no time, your curtains can look spotless. There will be no traces of dirt or dust leftover. It will be immaculate. Your curtains will look like never before. There is no doubt about it, if you hire us for professional upholstery cleaning services, you will certainly be impressed with what we have to offer you. You can count on us 100% for first class services. Just get in touch with us now if you need help. We’ll send over our experts and they will do a terrific job, we can assure you. Plus, we only use non toxic cleaning products so you don’t have to worry about that either. We care about our environment and so should you. Rug Cleaning will, quite simply, amaze you with its amazing curtain cleaning service. If you want, we can clean your curtains for you on a regular basis so that you don’t have to do it yourself. Our London cleaning company is one of the best in London if you need professional services carried out by expert cleaners. All you need to do, if you are interested, is get in touch now on 020 3744 3066 and we will do all we can to make sure your every need and requirement is met. We are dedicated to ensuring your steam clean goes well. There will be no delays or problems at all. You can rely on us for amazing services at great quality. We never let our customers down. When you see the results, you will not believe your eyes. You will be really amazed at the result. So call now if you would like expert help.